VMware customers have experienced some frustration around cloud migrations for quite some time. While VMware has attempted to provide a path to the cloud through their vCloud strategy, substantial barriers have made the migration difficult to achieve. While VMware customers have achieved substantial cost and efficiency savings through VMware technologies, they have largely not been able to extend these benefit through cloud migrations. The new IBM and VMware partnership is changing this. IBM will create dedicated cloud resources for VMware customers who migrate, essentially creating a private cloud platform. This will alleviate many of the concerns of Enterprise customers about the security of their cloud migration. IBM has negotiated great pricing for VMware applications on the IBM SoftLayer cloud. This will let VMware customers experience an immediate ROI on the cloud migration. VMware customers have invested a great deal in the architecture and administration of their VMware environments. VMware applications let customers create secure segmented networks, apply security and access controls, monitor the status of their applications, automate business recovery operations, and perform an number of other administrative functions in a coherent and cost-effective manner. Finding a way to the cloud that leverages benefits is crucial for the VMware customer. I think IBM has found the right path for these customers. IBM is not the first to attempt to address the needs of the VMware customer. Rackspace and others have cloud migration plans and have been working with VMware customers. But I think IBM SoftLayer has solved some problems that will open the path to VMware in the cloud. One of the remaining challenges for VMware customers is to get their third-party application and security vendors to embrace this move to the cloud. While the IBM VMware offering is a true native VMware implementation that will reduce the technical issues, software vendors need to be explicit about their support for solutions deployed on a cloud platform. VMware customers can find it confusing and frustrating to get clear statements of support from vendors. At Townsend Security we are trying to support our customers migrating our products in VMware to the IBM SoftLayer cloud. Our Alliance Key Manager and related encryption products are already validated for deployment in VMware. And we’ve extended our support for the VMware platform by validating our encryption and key management to the PCI Data Security Standard. We now also support the migration or deployment of our solutions in the IBM SoftLayer cloud. This gives IBM SoftLayer customers the confidence of moving their encryption security infrastructure to the IBM SoftLayer platform. It has been amazing how the PCI-DSS validation of our solutions in VMware have helped VMware customers meet PCI requirements. VMware deserves a lot of credit for creating a formal program for PCI validation on a well-defined VMware reference architecture. Working with Coalfire, a security auditing firm, we were able to very quickly certify our encryption and key management solutions to the PCI-DSS standard. This has helped multiple customers quickly move through the compliance challenge and this applies to the IBM SoftLayer platform, too. Because IBM SoftLayer retains the dedicated resources for the customer, compliance will be easy to achieve. IBM and VMware have created a great path to the cloud for VMware customers. I know that many challenges will remain for customers with more complex VMware architectures, especially with hybrid environments. But I think the path to the cloud just got a bit straighter and easier. Encryption & Key Management… why that ampersand is so important! We frequently talk about a variety of different data security measures and the difficulty of making information truly secure in a multi-tenant environment. What steps are we taking to protect the most valuable assets we have as companies, such as our customer’s Personally Identifiable Information (PII)? Are we starting with the most critical steps in the process and then building out from there? Let’s make sure we have the basics covered! Encryption is the first step to keeping information secure from anyone who accesses it maliciously, it is also a clear compliance requirement and critical part of protecting data in any environment. Use industry standard encryption such as Advanced Encryption Standard (AES, also known as Rijndael) which is recognized world-wide as the leading standard for data encryption. Never use home-grown or non-standard encryption algorithms. Make sure your security partner will supply you with all of the sample code, binary libraries, applications, key retrieval and other tools you need to implement encryption and key management fast and easily. Whether your data resides in the cloud, in a virtual environment, or in your own data center; always make sure you are using the right type of encryption to protect it. In the Cloud - If you're running on Microsoft Azure, or in Amazon Web Services (AWS), the encryption key manager can run as a true cloud instance in a standard cloud or deploy in a virtual private cloud for added data protection for sensitive applications. VMware - Businesses are able move their VMware infrastructure beyond traditional data centers and into the cloud with VMware’s vCloud. By using the same FIPS 140-2 compliant software found in physical appliances, enterprises can provably meet compliance requirements with a VMware based encryption key manager running in the cloud. A Cloud HSM is a physical appliance hosted in a secure cloud with real-time encryption key and access policy mirroring. Dedicated HSMs are hosted in geographically dispersed data centers under an ITIL-based control environment and are independently validated for compliance against PCI DSS and SOC frameworks. No access is available to the cloud vendor or any unauthorized user. A Hardware Security Module (HSM) is a physical appliance or security device that is protected and tamper evident. Built for high resiliency and redundancy it has hot swappable RAID (Redundant Array of Independent Disks) disc drives, dual power supplies, dual network interfaces, and is deployed in your IT data center. Cloud applications can connect to a remote HSM over a secure, encrypted connection. We understand that we live in a world where budget matters to our customers, so we do not charge client-side application or connection fees. We know that IT resources are limited and have done a huge amount of work to make our solutions easy with out-of-the-box integrations and simplified deployments. We also provide ready-made client-side applications, encryption libraries, source code samples, as well as SDKs for developers who need them. Working in the cloud presents several challenges unique to that environment, including significant growth and change in the area of data protection and encryption. There is much confusion about what is - and is not - encrypted and protected. This encryption of information, and the management of the keys and access controls is a core objective of this paper. If you can render information useless if accessed illegitimately, you have successfully addressed a whole host of regulations, compliance and best practices. The very definition of protection by cloud providers is an important part of understanding the requirements and challenges of your configurations and information protection. AWS approaches data protection in several ways that impact your systems. The first is the configuration and design of your infrastructure. This consideration includes establishing Virtual Private Clouds (VPC) and providing for encryption of some information stores. The challenge exists in understanding the protection of these information stores and determining what you need to do to bring these protections in line with your requirements and compliance areas. Physical access controls – This refers to the doors, secure access controls and other protections at the physical server and server room level. Logical access controls for your systems – These are the controls you put in place to prevent unwanted access to information. Data access – Data access controls are typically enforced at the information stores level. Protection of data in case of a breach – This is addressed by making the information in your systems unusable if accessed in a way that is unwanted. Control, Ownership, and Access - By managing your own encryption services and providing for industry-compliant key management and data protection practices, you help ensure that your data remains managed by your own secure keys. Multi-Tenancy and Key Management - In a worst case scenario it’s possible that keys could be compromised. Access to Keys - Many systems and architectures are based on hybrid solutions. Cases where there are systems on-premises combined with systems in the cloud are areas that will be problematic with the AWS services. Systems not on the AWS hosted services will not have access to the key management services on AWS. There are many different considerations when thinking about the choices in your key management solution. Be sure to fully understand logs, key management, backups and other elements that provide the utility you require. Finally, be sure you’re checking for proper compliance and certification of the solutions you are considering. It is important that any solution you choose has been through a FIPS 140-2 validation, and that you have a full understanding of any PCI, HIPAA or other regulatory body requirements. Please download the full document to learn more about protecting information in Amazon Web Services and how Townsend Security’s Alliance Key Manager for AWS provides a FIPS 140-2 compliant encryption key manager to AWS users who need to meet data privacy compliance regulations and security best practices. Public and private organizations of all sizes are rapidly adopting cloud platforms and services as a way of controlling costs and simplifying administrative tasks. One of the most urgent concerns is addressing the new security challenges inherent in cloud platforms, and meeting various compliance regulations. Data protection, especially encryption and encryption key management, are central to those security concerns. The recent announcements by Amazon, Microsoft and others regarding new encryption and key management services make it more urgent to understand the security and compliance implications of these cloud security services. There are a number of sources for security best practices and regulatory rules for data encryption including the National Institute for Standards and Technology (NIST), the Cloud Security Alliance (CSA), the Payment Card Industry Security Standards Council (PCI SSC), the EU Data Protection Directive, and others. Because so many organizations fall under the PCI Data Security Standards (PCI DSS) regulations, and because the PCI guidelines are mature and often referenced by security auditors, we will use the PCI recommendations and guidance as the basis for our discussion in this multi-part series. For securing information in the cloud, the PCI Security Standards Council published the document “PCI DSS Cloud Computing Guidelines, Version 2.0” in February of 2013. This is the current guidance for PCI DSS compliance and provides recommendations and guidance for any organization that needs to meet PCI data security requirements. It is also a common benchmark for organizations who do not need to meet PCI DSS standards, but who want to meet security best practices for protecting sensitive data in the cloud. Disclaimer: Townsend Security, Inc. is not a Qualified Security Auditor (QSA) and the opinions in this article are not intended to provide assurance of PCI DSS compliance. For PCI DSS compliance validation, please refer to an approved QSA auditor or request a referral from Townsend Security. First things first: Let’s tackle the most fundamental question - Who is responsible for data security in the cloud? This one is easy to answer. You are! Not your Cloud Service Provider (CSP), not your QSA auditor, and no one else. You are ultimately responsible for insuring that you meet security best practices and PCI DSS guidance in the cloud platform. This can be confusing when you are new to cloud computing. Cloud Service Providers often make this more confusing by claiming to be PCI compliant and you might infer that you are PCI compliant as a result of moving to their cloud. This is wrong. The PCI SSC makes it clear that you bear full and ultimate responsibility for insuring PCI DSS compliance. No major cloud service provider can make you PCI compliant just by implementing on their cloud platform. You will have to work with your CSP to insure compliance, and that is your responsibility under these standards. Much stock is placed in the statement “I am PCI compliant”, but what does this actually mean for the different parties involved? Use of a PCI DSS compliant CSP does not result in PCI DSS compliance for the clients. The client must still ensure they are using the service in a compliant manner, and is also ultimately responsible for the security of their CHD—outsourcing daily management of a subset of PCI DSS requirements does not remove the client’s responsibility to ensure CHD is properly secured and that PCI DSS controls are met. The client therefore must work with the CSP to ensure that evidence is provided to verify that PCI DSS controls are maintained on an ongoing basis—an Attestation of Compliance (AOC) reflects a single point in time only; compliance requires ongoing monitoring and validation that controls are in place and working effectively. a) If a CSP is compliant, this does not mean that their clients are. b) If a CSP’s clients are compliant, this does not mean that the CSP is. c) If a CSP and the client are compliant, this does not mean that any other clients are. The CSP should ensure that any service offered as being “PCI compliant” is accompanied by a clear and unambiguous explanation, supported by appropriate evidence, of which aspects of the service have been validated as compliant and which have not. Great, now you know that you are responsible for PCI DSS compliance and that you have to work with your cloud service provider to insure that their services and components are PCI DSS compliant and that you have deployed them in a compliant way. 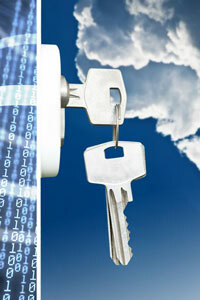 Are the new cloud key management services PCI DSS compliant? At the time I am writing this (February 2015) there has been no claim of PCI DSS compliance by Microsoft for the new Azure Key Vault service, nor by Amazon for the new AWS Key Management Service, and there is no Attestation of Compliance (AOC) available for either service. Access to systems, facilities, and appropriate personnel for on-site reviews, interviews, physical walk-throughs, etc. Policies and procedures, process documentation, configuration standards, training records, incident response plans, etc. Security as a Service, or SecaaS, is sometimes used to describe the delivery of security services using a SaaS-based delivery model. SecaaS solutions not directly involved in storing, processing, or transmitting CHD may still be an integral part of the security of the CDE. As an example, a SaaS-based anti-malware solution may be used to update anti-malware signatures on the client’s systems via a cloud-delivery model. In this example, the SecaaS offering is delivering a PCI DSS control to the client’s environment, and the SecaaS functionality will need to be reviewed to verify that it is meeting the applicable requirements. This means that you, or your security auditor, will have to perform the full PCI data security assessment of the cloud service provider’s encryption and key management service and that the CSP will have to grant you full access to their facilities, staff, and procedures to accomplish this. For both practical and logistical reasons that is not likely to happen. Most CSPs do not allow their customers unfettered access to their staff and facilities. Even if you could negotiate this, it may not be within your budget to hire a qualified auditor to perform the extensive initial and ongoing reviews that this requires. The only reasonable conclusion you can draw is that the new encryption and key management services are not PCI DSS compliant at the present time, and you are not likely to achieve compliance through your own efforts. In the next part of these series we will look at other security and compliance concerns about these new cloud key management services. We still have some distance to go on this topic, but if cloud security is a concern I think you will find this helpful! VMware customers benefit from the many operational, and cost efficiencies provided by VMware virtualization technologies both in traditional IT infrastructure and in cloud environments. As VMware customers deploy data encryption solutions as a part of their defense-in-depth strategy, the need for encryption key management can present barriers to a good encryption implementation. This article provides high-level guidance, general in nature, on how deploy and protect Alliance Key Manager for VMware within your VMware environment. Actual VMware deployments of Alliance Key Manager for VMware will use different VMware applications and architectures to meet specific user, application, and security needs. Properly identifying application groups based on the level of trust is critical for a secure implementation of virtualized applications and encryption key management services. Create and isolate a management cluster for your core VMware applications such as vSphere, vShield, etc. Identify application groups and their associated level of trust, and isolate applications into appropriate application workgroups. Avoid mixing trusted and untrusted applications in a workgroup. You should consider creating a security workgroup to contain your third party security applications such as encryption key management, authentication services, active directory, system logging, and other applications whose primary function is to assist in securing your VMware environment. Encryption key management services provide by Alliance Key Manager should be implemented in this separate security workgroup used for critical, non-VMware security applications. In preparation for properly securing these environments, create an inventory of all Virtual Machines managed in each workgroup. For each workgroup and virtual machine, identify the security controls that will be required for each one (network segmentation, storage segmentation, system logging, active monitoring, etc.). VMware flow tools can assist with this documentation. Fundamental to all IT security implementations is proper security of the physical environment. This means proper physical security controls and physical monitoring of the data center as well as good auditing and procedural controls. These physical controls should also apply to access to VMware management and security applications. You can look to the PCI Data Security Standards and guidance for information on appropriate physical controls. You can also refer to standard security guidance in SOC 2 and SOC 3 assessments for information on physical controls. When deploying on a cloud platform it is always a good idea to ask the Cloud Security Provider (CSP) for a copy of the PCI letter of attestation, or an SOC 2 / SOC 3 report. Because security applications are often a target of cybercriminals, you should isolate them into their own security workgroup and implement the highest level of VMware security. Only trusted VMware administrators should have access rights to Alliance Key Manager, system logs, and audit reports. Be sure to actively monitor access to and use of all encryption key management, key retrieval, and encryption services. Review all VMware applications used to secure and manage your VMware environment and change the default passwords as recommended by VMware. The failure to change default passwords is one of the most common causes of security breaches. Network segmentation is easy to accomplish with VMware network management and security applications and you should implement network segmentation to isolate applications that process sensitive information from applications that do not require as high a level of trust. Additionally, you should provide network segmentation for all third party security applications such as Alliance Key Manager. Network segmentation should include all high availability and business recovery infrastructure. Do not rely on virtual network segmentation alone; use firewalls that are capable of properly securing virtual networks. The VMware management and security applications provide for a high level of security and monitoring. They also provide hooks and integration with third party security applications that provide system log collection, active monitoring, intrusion detection,etc. Encryption is a critical part of a defense-in-depth strategy, and protecting encryption keys is the most important part of an encryption strategy. Regardless of the operating systems in your application Virtual Machines, Alliance Key Manager will provide encryption key management, key retrieval, and encryption services for your business applications and databases running in your VMware infrastructure. Use an appropriate SIEM solution to collect VMware application and ESXi hypervisor system logs and perform active monitoring. The log collection and SIEM active monitoring solutions should be isolated into a security workgroup that contains other third party security applications such as Alliance Key Manager. Organizations running SQL Server Enterprise edition gain the added benefit of SQL Server transparent data encryption (TDE) and extensible key management (EKM). The encryption capabilities of Enterprise edition enable users to easily encrypt data at the column level of a database, and EKM allows users to store encryption keys using a third-party encryption key management solution. These streamlined capabilities of SQL Server Enterprise Edition have made SQL Server one of the easiest databases to encrypt, and therefore it’s popularity hasn’t waned. One of the biggest issues facing SQL Server users today is maintaining security as users move their SQL databases to the cloud. While Microsoft Azure remains a popular cloud service provider (CSP) for SQL users, Amazon Web Services (AWS) and VMware are also common amongst organizations moving to the cloud, especially those migrating a multi-platform environment. Each of these top-tier CSPs offer security solutions to help you protect your cloud environment; however, when considering security in the cloud there are two important things to remember: The security offered by your CSP won’t provide you with a complete security solution, and the security solutions you bring to protect your data in the cloud can fail if not implemented correctly. Don’t rely on the cloud for complete security! Your CSP should provide your business with some security, but their solutions are likely limited. Most CSPs will offer firewall protection, for example. Top-tier CSPs have also undergone some certifications such as Payment Card Industry (PCI) and FedRAMP compliance. It is important to remember, however, that relying on firewalls alone is not enough to prevent intruders, and cloud certifications never mean that your company will automatically meet these compliance regulations as well. A comprehensive data security plan is required for any business operating in the cloud, and this typically requires using third-party security solutions to ensure your business meets compliance and is adequately protecting data. The security solutions offered by your cloud vendor are rarely enough to prevent a data breach. Just because your cloud service provider is compliant, doesn’t mean you are. Separation of duties and split knowledge when accessing encryption keys and sensitive data. It’s important to remember that your business continuity relies on your own security plan. Regardless of the environment, when your organization experience a data breach, ultimately the responsibility is yours. Your customers, as well as your employees, rely on you to protect their data, and if you fail to do so, the consequences may include loss of customer loyalty and a severely damaged brand. The ultimate way to prevent access to sensitive data is using encryption and encryption key management. The cloud has transformed the way most industries manage their data. With services that offer cost-effective, scalable, “pay-as-you-go” options, it is increasingly rare to find a company that doesn’t want to migrate business-critical applications from an in-house data center to the cloud. Companies will make different decisions based on industry risk assessment, their own tolerance for risk, and compliance regulations, however, some Enterprises have been holding back on their migration to the cloud until comfortable that they can properly protect their most vital information. Data security was a concern when we had a fully controlled hardware environment, and now that we are moving to shared, multi-tenant virtual environments it has become even more critical. Data encryption has had a reputation of being the hardest security measure to achieve and yet it is the best way to secure digital information that needs protection. One of the most important elements of encryption is using encryption key management best practices to keep the encryption keys safely stored away from the data they protect. An Enterprise key management solution will also provide dual control, separation of duties, and proper rotation of encryption keys to ensure that you (and only you) control, manage, and have access to your encryption keys and the data they protect. Any cloud platform brings with it an additional set of security concerns, including the ability to implement and demonstrate regulatory compliance, as applications and services move into the cloud. Whether Enterprises bring their own applications and operating systems into the AWS cloud, or use the variety of options and rich set of services supplied by Amazon, lets take a look at ways data can be encrypted and the use of appropriate technologies to protect those vital encryption keys. Virtual machine migration: Probably the most typical cloud deployment involves IaaS (infrastructure as a service) where the operating system, database, and everything is contained with an application. By using industry standard encryption and key management, vulnerabilities are significantly reduced and organizations are able to enforce compliance requirements. Data storage options: Whether you are encrypting an entire database, or using column-level encryption for a more granular approach, you have options for database (data-at-rest) encryption. Amazon Relational Database Service (RDS) While RDS does not support encryption key retrieval and on device encryption services internally, it does to make it easy for applications to encrypt data going into and out of the RDS. You can retrieve encryption keys for application-level encryption or use on-device encryption before writing to, or reading data from, the RDS. Amazon Simple Storage Service (S3) is very popular for video, audio, and large files now with server-side customer supplied encryption and key management support. Each file can have it’s own encryption key, or you can use the same key to encrypt multiple files. With recent enhancements by Amazon, you can easily “bring your own key” and integrate a key manager to encrypt data being stored in S3 and decrypt data that is retrieved from S3 storage. Amazon Elastic Block Storage (EBS) is available for any virtual machine running in an Amazon context to retrieve encryption keys and encrypt data in very straightforward application environment. Make sure your key management solution provides a rich set of SDKs and client-side libraries all of which run in cloud platforms and can be used through all of the storage services that Amazon provides. You should be able to choose to host the key manager in the AWS cloud as an Amazon Machine Instance (AMI), or in a hosted cloud HSM (which is gives you a dedicated HSM in a SOC 3 audited data center with a PCI DSS letter of attestation for compliance) or within a physical HSM under your full control within your own data center. Look for a key manager solution that runs exactly the same way in all of these environments, and ensures that you maintain ownership of your encryption keys at all times. So if you deploy in one location and then need to migrate, you can easily store your data in the appropriate locations. Also, using industry standard encryption and certified solutions for key management are critically important for meeting compliance regulations and following security best practices. Using a third party Cloud HSM gives you the assurance that your encryption keys are kept safely apart from your sensitive data. It is very important to make sure no one else has administrative access, because above all, encryption keys are the secret that must be protected within your encryption strategy. With options for fee-based encryption key management services, as well as bring-your-own-license solutions, Townsend Security's Alliance Key Manager (AKM) for AWS allows Enterprises to properly manage their encryption keys while meeting security requirements in less time and at a lower cost. While it is not possible to perform FIPS 140-2 validation in a cloud service provider context, Alliance Key Manager uses the same FIPS 140-2 compliant key management technology available in Townsend Security's HSM and in use by over 3,000 customers worldwide. Alliance Key Manager for AWS provides full life-cycle management of encryption keys for a wide variety of applications to help organizations meet PCI DSS, HIPAA, and PII compliance at an affordable price. With executives looking to conserve resources by moving their organizations databases and IT environments to virtualized platforms and to the cloud, there are concerns around virtualized environments. Security best practices and compliance regulations call for sensitive data to be protected with encryption and that data-encrypting keys (DEK) be physically or logically separated from the sensitive data and protected with strong key-encrypting keys (KEK). Depending on what type of information is being stored and what industry guidance your project/company falls under, compliance regulations in addition to PCI DSS may apply. The Payment Card Industry Data Security Standard (PCI DSS) is one of the most rigorous and specific set of standards established to date and is used by many organizations as a standard to secure their systems. PCI DSS applies to all organizations that store, process, or transmit cardholder data, regardless of volume. This includes merchants, service providers, payment gateways, data centers, and outsourced service providers. (3.0) **Req. 1.1.3: "[Maintain a] current diagram that shows all cardholder data flows across systems and networks." (3.0)** Req. 2.4: "Maintain an inventory of system components that are in scope for PCI DSS." (3.0) ** Req. 12.8.5: "Maintain information about which PCI DSS requirements are managed by each service provider and which are managed by the entity." It can seem overwhelming at first, but the PCI Security Standards Council (PCI SSC) website contains this documentation along with a number of additional resources to assist organizations with their PCI DSS assessments and validations. Within the latest documentation by the PCI Security Standards Council (v3.0 released November 2013) specific testing procedures and guidance is given for Requirement 3 on pages 34-43. While virtual technology is not limited to VMware, it is one of the most commonly used and supported architectures by many cloud service providers. In addition to the PCI compliance and cloud guidelines above, VMware worked with CoalFire, a QSA auditing firm, to create guidance on how to specifically deploy payment applications in a VMware environment. You can access the CoalFire document from the VMware website here. As platform virtualization becomes a more popular solution, executives need to remain vigilant with their data security and meeting compliance requirements. We can help make the transition to VMware easy with our Alliance Key Manager for VMware solution, which meets the PCI recommendations when deployed properly in a VMware environment. We are committed to helping businesses protect sensitive data with industry standard NIST compliant AES encryption and FIPS 140-2 compliant encryption key management solutions. To learn more about enterprise key management for VMware and vCloud, download our podcast "Virtualized Encryption Key Management".